If you're just starting off with music or audio, there's a fair chance you can't afford to pay a lot of money for acoustic treatment or a studio designer. Here are some things you can do to improve the sound of your room on the tightest budget and a little effort. When it comes to building your studio, whether it be at home or elsewhere, there are a lot of options out there. As far as the cost goes, you might as well say the sky is the limit! How much you spend can determine how good your studio will sound. But what if you're just starting out and don't have much to spend? That's exactly what this tutorial is for. The objective here is to get the best out of what you have to work with. Most of what I mention here won't cost a thing, since it will only involve moving things around. In this tutorial I won't cover anything to do with recording. There's little chance you'd have an isolated recording room if you're just starting off. Where you sit and produce or mix is usually called the control room, and that's what I'll be referring to from here on. Everyone who is interested in getting into audio beyond the hobbyist level should get themselves an audio interface and good pair of studio monitors. If you already have a computer, this should be your biggest investment. For the rest of this tutorial I'll assume you already have these three basics. Make sure you maintain a standard level. It doesn't make sense to get a $1,000 monitor and a $99 audio interface. There are good options for both in the $300 range. Check out these searches for a budget pair of studio monitors at Sweetwater or Amazon costing $179-300. Here are the searches for an audio interface in the same price range at Sweetwater or Amazon. Of course, the one you pick should be based on your budget and requirements. I'll deal with two aspects of placement: the placement of your workstation in correlation with the room, and the placement of the monitors in correlation with yourself. Ideally you should set up your workstation in a rectangular room. A square room has significant acoustical disadvantages. (Look up "room modes" and "standing waves" incase you are curious.) Correcting problems with a square room is much harder and more expensive. Your monitors should face the longest side, and be equidistant from the side walls. The primary reason for this is simple: there are bound to be reflections, and the closer the rear wall is to the speakers, the stronger the reflected sound will be. If it isn't centered between the side walls, the reflections will be uneven from the left or right. Now we come to the placement of the monitors. The monitors should ideally be placed at ear level, and form an equilateral triangle with your head. Usually, each should be between three to five feet apart from the other. This also means that your listening position would need to be three to five feet from the monitors. The monitors should also be at least eight inches away from the nearest wall. As an example, if you place your monitors four feet apart from each other they should be four feet from your listening position as well. Turning each monitor slightly inwards towards you ears instead of facing straight out would be ideal. The position you would be sitting at, is commonly known as the sweet spot. Note: To get the monitors at ear level, you could use specially designed studio monitor stands, or as a quick low cost alternative, use some old books. Notice the placement of everything so far has been symmetrical. That's how important symmetry is to sound. The placement of the speakers in correlation to each other and to the listener ensures a good stereo image. This is very important while mixing as it will help create a better sound stage. However, symmetry can go much further. Since sound waves travel though the air, any object in their path will effect their behavior. The two most common things that can happen are the sound waves get absorbed or reflected. To keep things simple, soft and porous objects will absorb sound, and hard surfaces will reflect sound. Essentially, you are an absorber too. Fortunately, sitting in the sweet spot means you are in the least intrusive position. If you look at the design of a really well-built professional control room, within all the fabulous acoustic treatment, you would notice symmetry. The design in a studio should always be functional. For example, if you notice a couch at the back of the room, it isn't just to accommodate visitors. It is a carefully calculated decision since a couch is also an absorber. Furthermore, The couch at the back of the room balances out the workstation in the front. If you're trying to set things up in your home, that's where the couch or bed should go. Having a couch or bed against one of the side walls will upset the symmetry of the room. Sound is produced through vibrations. The sound coming out of the monitors is the result of a vibrating membrane. That being said, any other vibration occurring in the room can be quite disturbing and detrimental to the monitoring process. To minimize vibrations, all surfaces that vibrate should ideally be decoupled or isolated from each other. For example, even though near field monitors are referred to as bookshelf or desktop monitors, placing them directly on the surface of a shelf or desk will cause the surface to vibrate. This will create distortion and add an additional source of noise. To isolate the monitors you would need some form of padding. Here, I would suggest making a small investment and getting some monitor isolation pads. They are quite inexpensive (less than $50 for a pack) and money well spent. If you are using monitor stands, ensure that no part of the stand is touching the desk or any other object. In addition, whenever possible, use well shielded cabling to isolate your signal from EMI and RFI. Note: Another reason I recommend the monitor isolation pads is that they make it possible to angle the monitors up or down towards your ears. Check out these options for monitor stands and isolation pads at Amazon. Bass traps, to control low frequency buildup in corners. Absorbers, to absorb mid-high frequency and prevent reflections. Diffusers, to break up and scatter reflections. Knowing where to install them and how much treatment you need would require either professional help or a really keen sense of hearing. Just adding any of these randomly to your room will not necessarily improve your sound. As a simple example, if for some reason your room does not have a lot of reflections, adding more absorbers will deaden your sound and everything you hear in the room will sound dull. Carpeting. To control reflections off the floor, add some carpeting. The amount of polished or hard flooring you cover with carpeting will decide how much remains a reflective surface. If you have carpeted floors and feel your room sounds quite dead, try removing the carpet to liven up your room. Curtains. Similarly, cover up windows with thick curtains. They will hide a reflective surface and also absorb some sound. While doing any of this, you should always keep symmetry and balance in mind. If your window happens to be only on the left wall, consider balancing it out with absorbers on the opposite wall, or even another curtain which covers nothing at all. In this tutorial we covered some simple, low-cost tricks to help you get the best out of the room you already have, and the equipment you use. Most are either free to implement or very affordable alternatives to expensive options. In time you can use these basic concepts and principles to continue upgrading your studio. 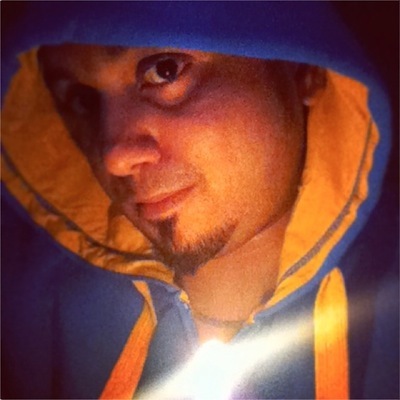 Rohan Yellore is a Producer, Audio Engineer & DJ from Bombay. He has played at some of the best clubs back home before joining SAE College. He worked for a year there as a trainer, and eventually decided to get back to producing music.